As of 2015, Thailand's imports experienced gradual decline from US$ 250.7 billion in 2013 to US$ 227.9 billion in 2014, up until US$ 202.0 billion. The exports, on the other hand, only declined in 2015 at US$ 210.9 billion, after stabilizing at around US$ 228.0 billion from 2011 to 2014. The country exported 4,325 products to 220 destinations. Most of these exports were capital goods (38.7 percent) and consumer goods (35.0 percent). Intermediate goods were relatively high at 20.4 percent, while very minimal 5.9 percent raw materials. In contrast, the country imported a total of 4,495 products from 219 countries. Most of these were capital goods (37.3 percent) and a relatively high intermediate goods (27.2 percent) and consumer goods (20.7 percent). Raw materials imports were relatively low at 14.8 percent. The most exported products were machineries and electronics (31.5 percent), transportation (13.4 percent), plastic or rubber (11.4 percent), food products (8.2 percent), stone and glass (6.0 percent), vegetable (4.7 percent), chemicals (4.6 percent), metals (4.5 percent), fuels (3.9 percent), miscellaneous (3.9 percent), textiles and clothing (3.3 percent), wood (1.9 percent), and animal (1.4 percent). Imports, on the other hands), were also comprised largely of machineries and electronics (32.1 percent), followed by fuels (14.9 percent) and metals (12.4 percent). Small contributions were from chemicals (8.1percent), stone and glass (5.8 percent), transportation (6.4 percent), plastic or rubber (5.0 percent), miscellaneous (4.0 percent), vegetable (2.5 percent), food products (2.4 percent), textiles and clothing (2.2 percent), animal (1.6 percent) and wood products (1.6 percent). Top export markets include USA (11.3 percent), China (11.1 percent), Japan (9.4 percent), Hong Kong (5.5 percent), and Malaysia (4.8 percent). Import sources, on the other hand, include China (20.3 percent), Japan (15.4 percent), USA (6.9 percent), Malaysia (5.9 percent), and UAE (4.0 percent). 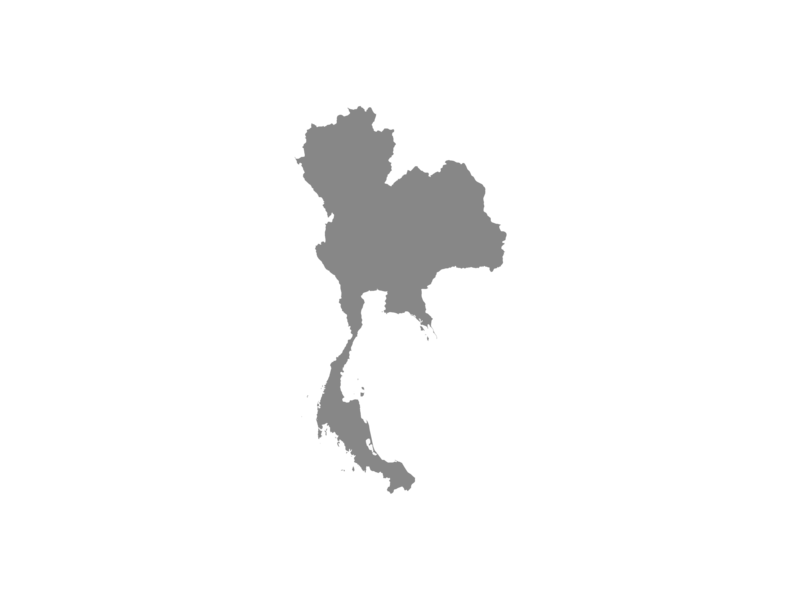 Thailand's FDI has been one of the most robust in the region, in 2015. Although the inflows plummeted in 2016 at US$ 2.1 billion from US$ 5.6 billion, it increased largely in 2017 at US$ 7.6 billion. The FDI stocks also continually and increasingly stood from US$ 183.3 billion in 2015 to US$ 191.1 billion and US$ 219.4 billion in 2016 to 2017, respectively. Japan (37.9 percent) and Singapore (22.1 percent) were the largest sources of investments. Others include Taiwan (8.8 percent), the Netherlands (7.4 percent), Germany (4.2 percent), Switzerland (3.9 percent), Mauritius (3.9 percent), and UK (3.5 percent). Manufacturing (43.3 percent) was the most invested sector, followed by financial and insurance activities (26.4 percent). Real estate (8.5 percent), trade and repair of motor vehicles (7.5 percent), and information and communication (3.2 percent) were also the main sectors were foreigners invest into.